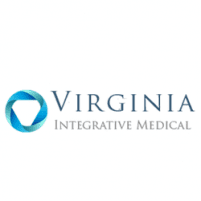 Dr. Jordan Le Tran at Virginia Integrative Medical in Winchester, Virginia, is a family medicine physician who provides specialty medical services for a number of health conditions, including Lyme disease and migraines. Virginia Integrative Medical also provides treatment for chronic wounds. For expert medical care aimed at treating the underlying cause of your illness, call today or schedule an appointment with Dr. Tran using the online booking tool. If you’re experiencing any of these symptoms, Dr. Tran can conduct a blood test to determine if you’ve contracted the infection, which can be treated with antibiotics. When caught and treated early, you can expect a full and rapid recovery. What type of treatment can I expect for my migraines? If you suffer from migraine headaches, you know how debilitating they can be. Dr. Tran offers a number of treatment options to help relieve your discomfort. Many people who suffer from migraines notice certain foods or activities can trigger the head pain. Dr. Tran works with you to help identify your triggers and assist you in avoiding them. Additionally, Dr. Tran may recommend medications to help relieve the pain, including over-the-counter and prescription pain relievers. If you experience migraines on a fairly regular basis, Dr. Tran may also prescribe medication that prevents the onset of migraines. He can offer nerve blocks to manage intractable flairs. Migraine can be treated and prevented using Botox injection. OnabotulinumtoxinA, a type of Botox® injections, may provide migraine relief for up to 12 weeks. A wound that doesn’t heal within eight weeks is considered chronic and requires a specialty treatment to help promote the healing process. Dr. Tran cleans and dresses these wounds to improve healing and recovery. He also debrides them, which is the process of excising dead tissue. PRP and STEM cell treatment can help heal chronic wound healing to speed up recovery and assist in preventing infection. For management of all your specialty health care needs, call Virginia Integrative Medicine today or schedule an appointment online.